In fact, we’re probably able to beat just about any of our competitors’ pricing. We have an unflinching commitment to quality. One of our mechanics, Ron, has said that one of the most rewarding parts of his job is knowing that, with as many units as he and his team work on, there are very few problems or comebacks that need to be addressed. In other words, our equipment, and therefore our operation, is dependable. For more than three quarters of a century, Brockman has been in this business. What started out with hauling cattle and then 3M supplies during World War II has grown to the operation we are today. Our long history has given us our expertise. And our expertise is why people and businesses trust us with what’s valuable to them. But ultimately, what makes us so effective—what makes it so we can promise the best prices, the highest quality, and the much-needed expertise—is one core component of the Brockman DNA. Our team is made of people like our driver and mechanic Ron. Ron’s been with us for 23 years. Many days, we all get our hands dirty together, literally keeping the wheels turning in this company. We’re working together to make sure that our customers needs are met and that our company’s standards are kept. Our team is the best thing about us because it’s made up of people who are committed to quality and integrity. It’s made up of hardworking individuals who care about helping us keep our promises. 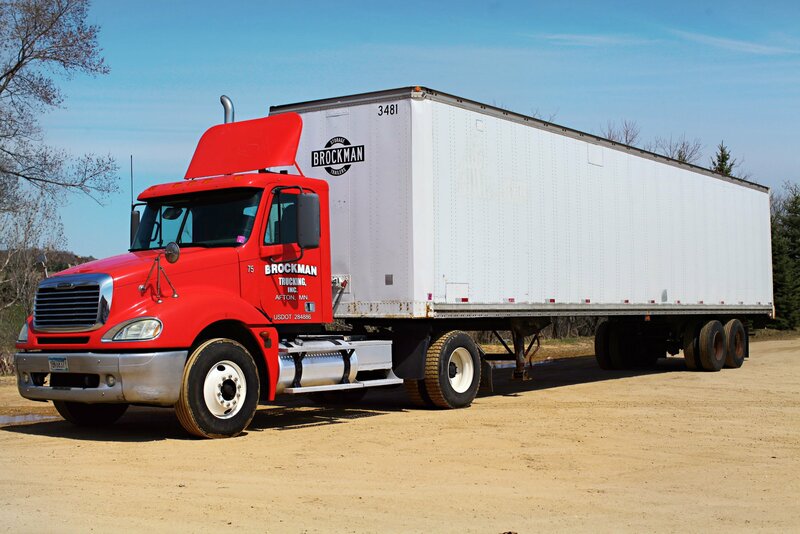 From the day our operation started, Brockman has been able to offer the best prices and highest quality service with expertise that’s unparalleled. But our people are what keep us truckin’.